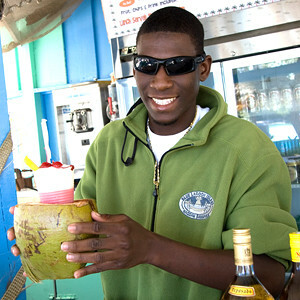 Your experience begins with a relaxing 20-minute scenic boat ride on one of our double-decker catamarans. 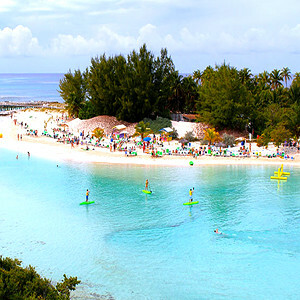 The cruise takes you past historic Nassau landmarks, the luxury homes of Paradise Island, beaches and through clear aquamarine waters to magnificent Blue Lagoon Island where you swim with dolphins. 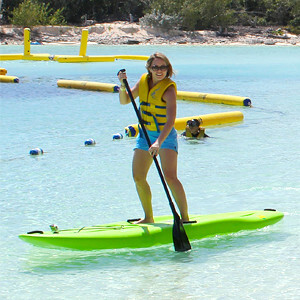 The entire visit to our facility offers you a truly authentic Bahamian experience. 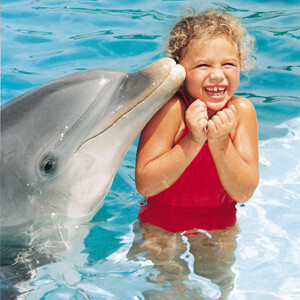 In the Dolphin Swim Program, you receive a unique, playful, educational interaction with these wonderful animals in beautiful turquoise waters of our natural ocean lagoon. 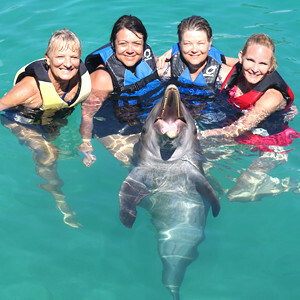 For the very first time in The Bahamas, Dolphin Encounters is pleased to offer a thrilling new personal Encounter with California Sea Lions on the magnificent Blue Lagoon Island. 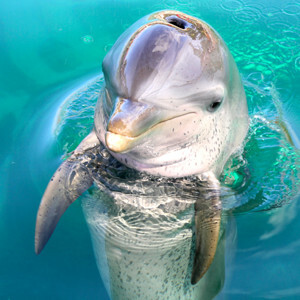 In the Dolphin Encounter Program, each guest can expect a unique experience that brings you closer to an Atlantic Bottlenose dolphin than you ever dreamed possible! 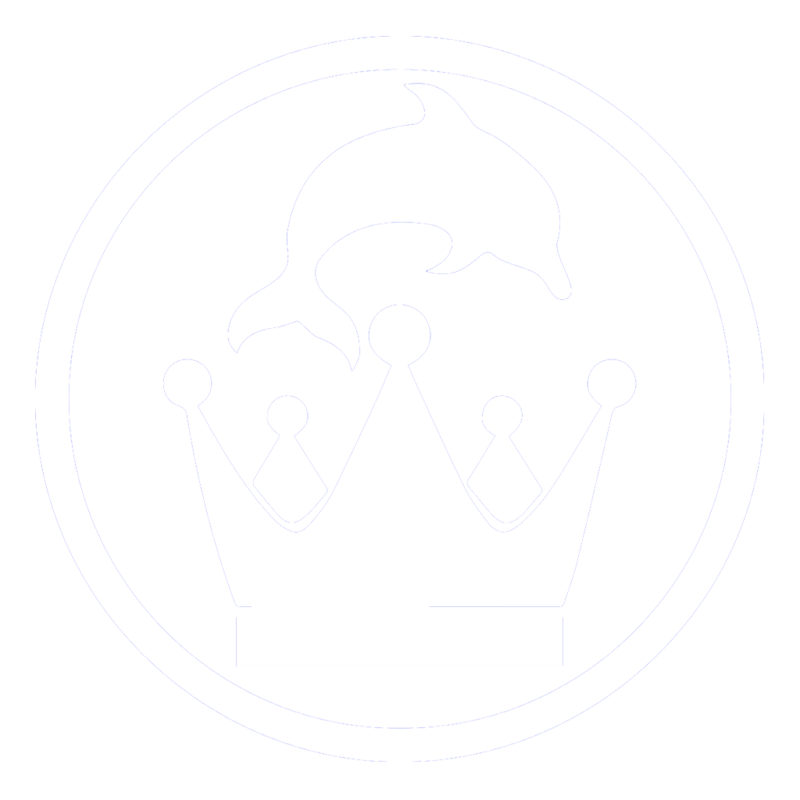 Go beyond your Dolphin Swim experience and enjoy the Royal Dolphin Swim. 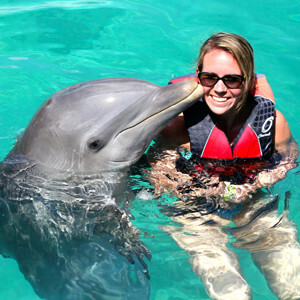 Enjoy meeting and interacting with our friendly dolphins in the most intimate and natural of settings. Swim the calm lagoon, relax on the beach, enjoy water sports, a grilled lunch, refreshing tropical drinks or just watch the coconut palms sway as you lounge in a hammock.  Take in the beauty of the island and enjoy the private beach area that is for adults only. Umbrellas and comfortable lounge chairs are provided for your relaxation as well as butler service. 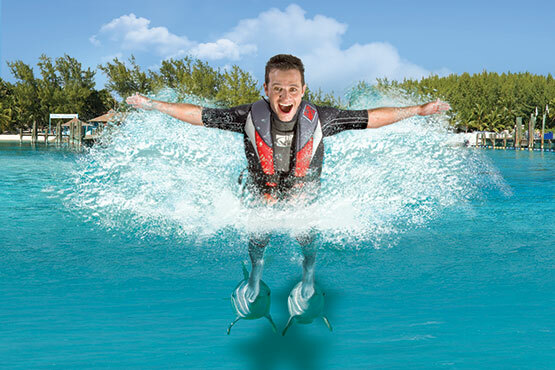 Have you ever wanted to glide effortlessly through an island paradise on a Segway? You can! 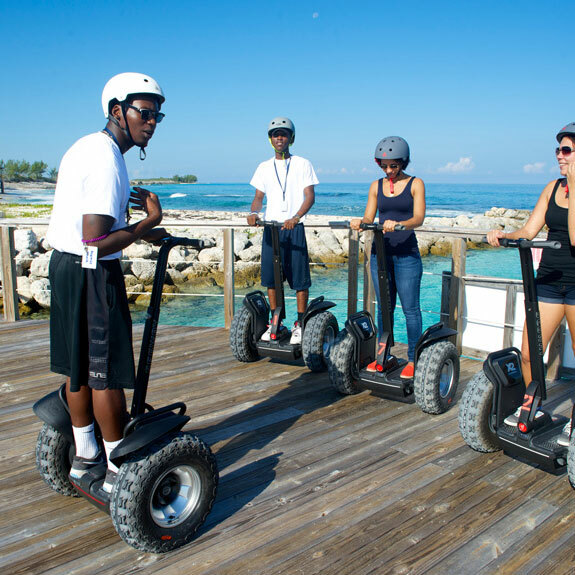 Take a Segway “Safari” across beautiful Blue Lagoon Island. Interact with our gentle Southern stingrays on a shallow platform & spend some time snorkeling with these amazing creatures of the sea! 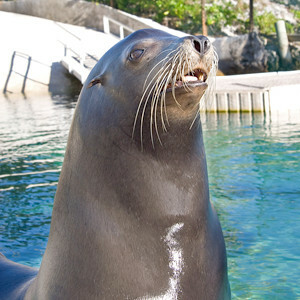 Enjoy viewing native Bahamian Atlantic bottlenose dolphins and California sea lions in their all natural lagoon habitat. An amazing experience without getting wet! 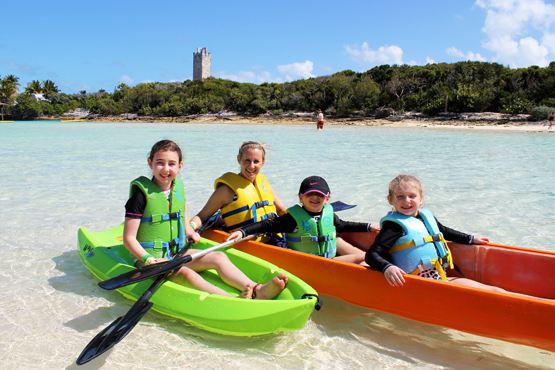 Experience the intrigue of the flora, fauna and marine geology found on stunning, private Blue Lagoon Island on this native adventure! 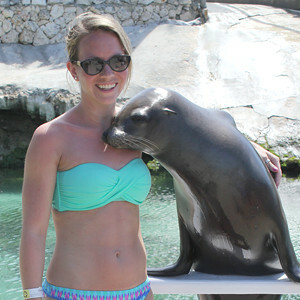 "Blue Lagoon Island was beautiful! We did the dolphin swim and it was amazing! We got so much time in the water with them and it was an awesome experience! 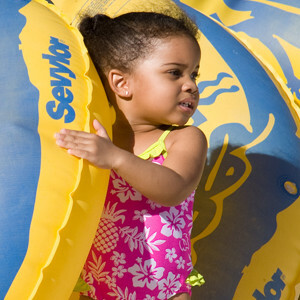 The island is very kid friendly with inflatables, water activity rentals and tons of other things to do. 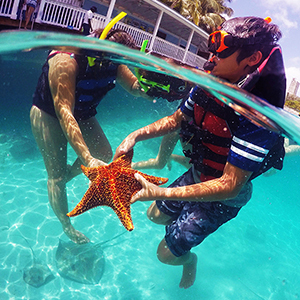 It is a great place to go to spend the entire day away from your resort." Book Your Incredible Experience Today! Swim in the calm lagoon, relax on the beach, enjoy water sports, grilled lunch, refreshing tropical drinks or just do nothing but watch the palms sway as you lounge in a hammock. Going to the Bahamas? 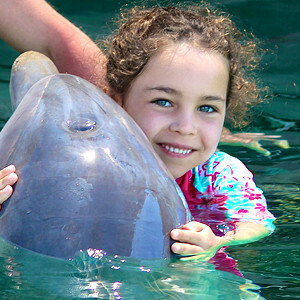 Dolphin Encounters is one of the top tourist attractions in the Bahamas and is owned and operated by a local family.